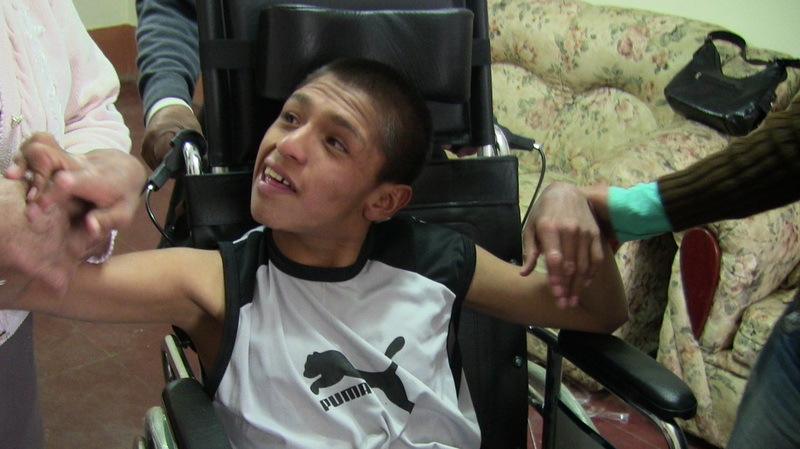 Senor de los Milagros CEBE (Centro Educativo Basico Especial – Center for Basic Special Education) is located in Huancayo, a large city high in the Andes mountains, in beautiful Mantaro Valley where there are more festivals than there are days in the year. Director is Maria Cecilia Ore Vidalon. The school has three classes serving 23 students with severe to profound disabilities, including severe physical disabilities, autism, and a variety of syndrome conditions. 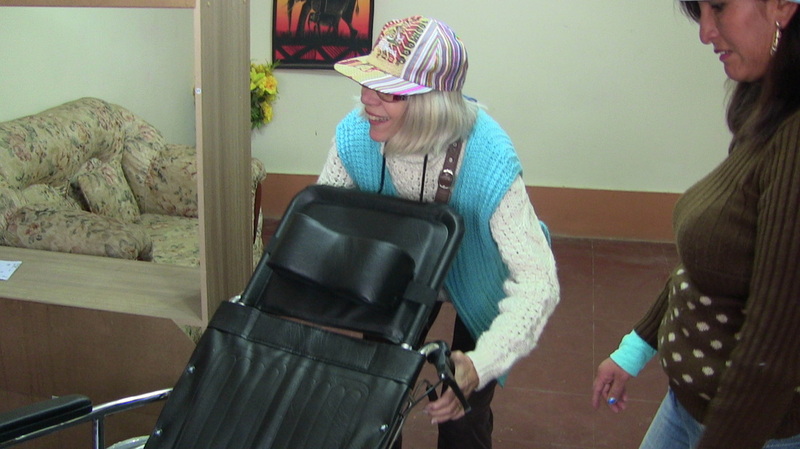 Several of the students are in wheelchairs and need almost total care, while others are waiting for wheelchairs. The majority live with single mothers, but several were abandoned by their parents at birth or soon after and live in a home for children in this situation. All of them are nonverbal and several need to be fed. Yet there is joy in the school. There is an atmosphere of love, respect, and kindness. 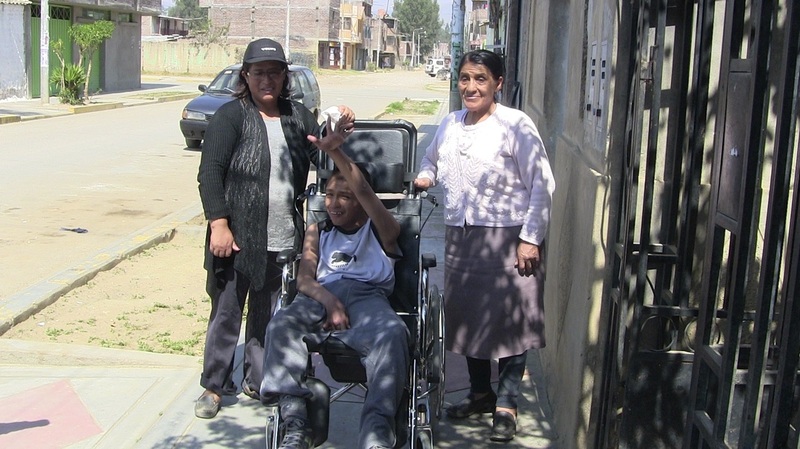 We were blessed last summer with the opportunity to provide a wheelchair for Jefrey, a student there, and it was one of the most joyful experiences we have ever had. 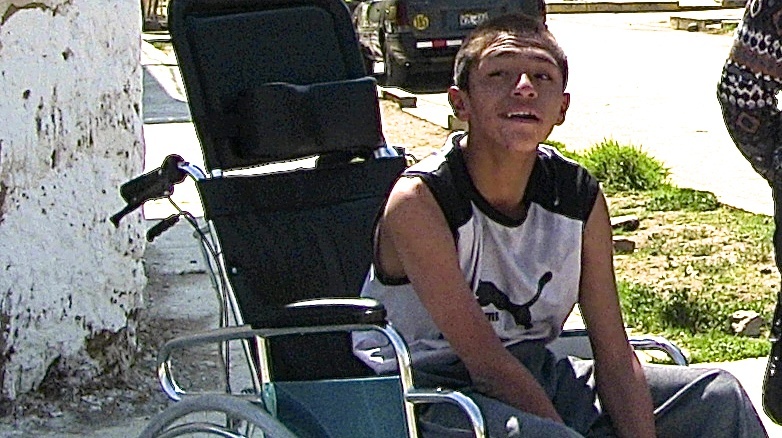 The most fun experience of our 2015 trip was giving a new wheelchair to Jefrey, a 16-year-old student at Senor de los Milagros School. ​We took it to his home, where he lives with his single mother, his grandmother, and younger siblings. 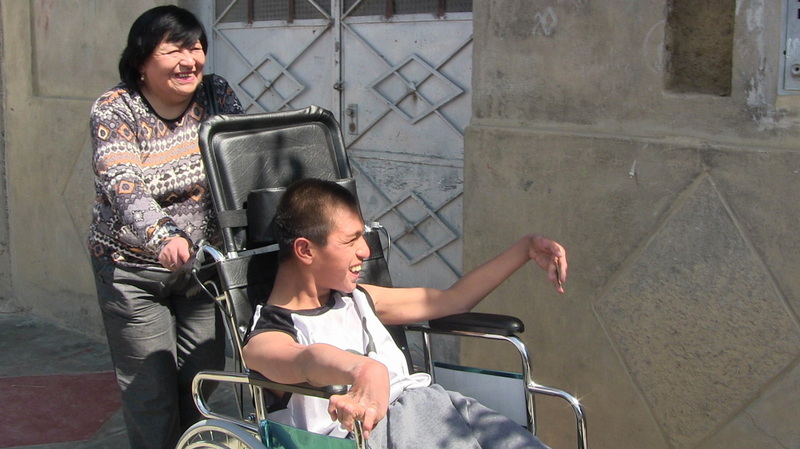 Jefrey had outgrown the small wheelchair he’d used at school for many years. 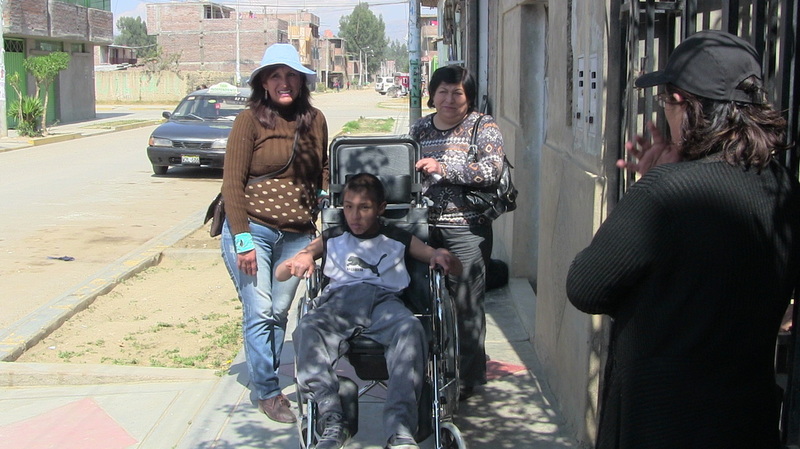 ​He didn’t have a wheelchair at home and was unable to leave his house after school because his mother and grandmother couldn’t lift him. ​He can’t talk, but when we put him in the wheelchair, he made loud, happy sounds. ​Here he is with Gloria Yda Ricse Chavaya, the previous director of Señor de los Milagros and current director of an infant-toddler early intervention program, and Maria Cecilia Ore Vidalen, the new director of Señor de los Milagros, both devoted educators. We took him for a walk around the neighborhood and it was pure joy.